I have always had a little beauty box obsession because lets face it, who doesn’t love receiving a beautifully packaged beauty box containing surprise goodies every month to their front door? This month I decided to subscribe to the Look Fantastic Beauty Box as this was one I had never tried before. I was a little apprehensive to commit and sign myself up to a years worth of boxes but my shopaholic demon made me think otherwise and persuaded me to take a leap of faith. After receiving my first box I am happy to say that I definitely do not have any regrets. My six little goodies arrived beautifully packaged with a complimentary ELLE magazine inside which is handily hand bag sized. I really liked the box, which may sound a little sad but I must admit that I am a bit of a box hoarder. I like keeping pretty boxes and using them as storage containers in my wardrobe and draws so this one is definitely for keeps. 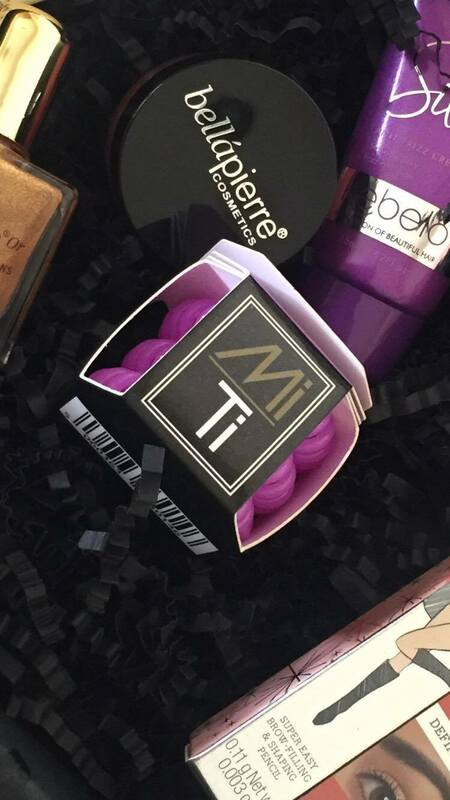 The first thing that caught my eye were the MI TI hair bobbles. I didn’t understand what they were at first glance and was surprised to find out that they were actually hair bands. I have really long, thick hair and I was skeptical that they would even hold up my hair up. I tend to get really bad headaches when i pop my hair up in to a ponytail because of how much the weight pulls on my scalp. Well imagine the sheer joy I felt when I found out that this genius little invention actually works! I don’t fully understand how they seem to work so well and they may look a little ridiculous but they are a bit of a game changer. They hold my hair up fine without actually pulling my hair and they don’t make my scalp feel sore or tight. It held my hair up all day and even survived an evening gym session. The best thing about these bobbles though is how my hair looked after I took my ponytail out. There was almost no visible kink and once i brushed my fingers through my hair I had a perfectly formed barnet! I loved these so much that I immediately purchased another 3 packs of them in red to match my hair colour. 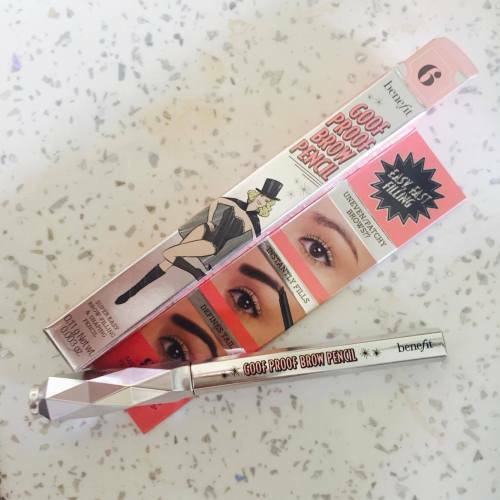 I also really loved the Benefit Goof Proof Brow Pencil and although the colour was a little too dark for me, the angled pencil made it super easy to fill in my brows. My brows are quite patchy and I don’t like them to look too blocky at the front. With the angled pencil I was able to easily draw on hairs and as the pencil is quite thin the pencil strokes looked really natural and it was really easy to be precise. 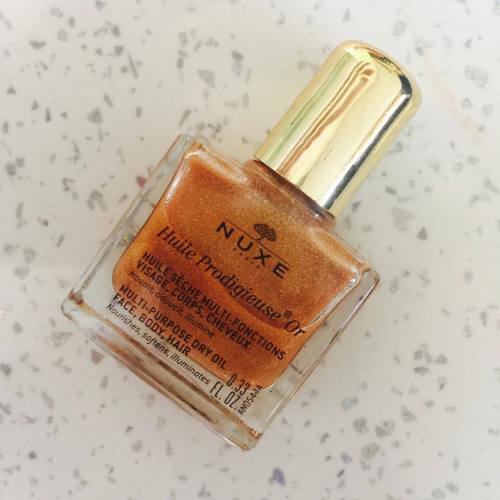 The Nuxe Body oil has this beautiful buttery smell like warm vanilla and coconut. I thought this would work like a self tan so I coated my arms with it and although I noticed a slight change in my skin colour and I appeared to look a little darker, the overall effect just made me shimmer more than it made me look tanned. I like this product though and it can go in the hair as well. It would work well if you were doing a bronzed look on yourself but even better if you were doing a bronzed editorial as you could use it as a highlight and blend it up into the model’s hair. This product would work really nicely on the legs during the day or on a night out. It definitely made my skin feel softer and more nourished as well. Perfect for the summer. 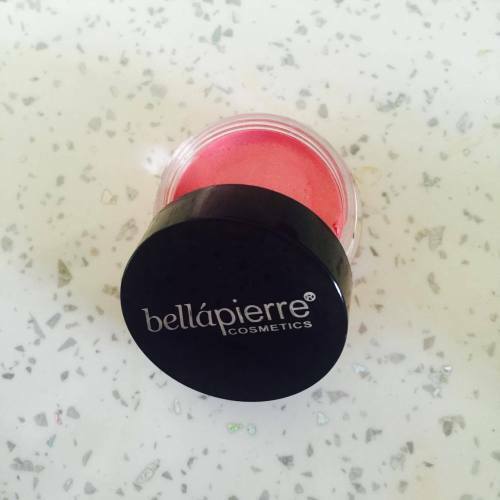 The bellapierre lip tint was actually beautiful. the colour was super natural and doubled up as a cheek tint as well. The consistency of the tint melted into my skin which gave me a flawless rosie complexion. I don’t usually use pink on my cheeks as I am more of a bronzer kind of girl but this was lovely and something I would definitely re use. 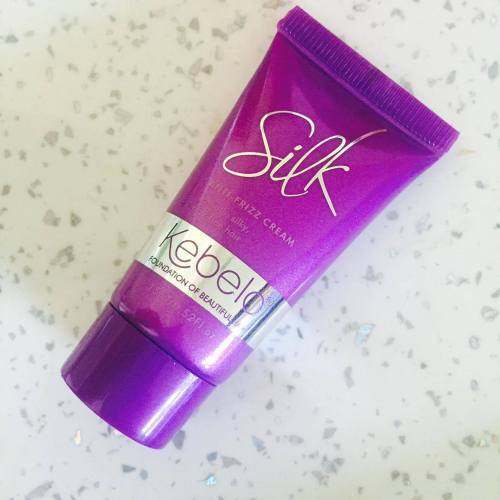 I used the Kebelo anti frizz cream just after i had roughly blow dried my hair so my locks were in dyer need of some de frizzing. I usually use keratin oils or any type of hair oil that smooths my hair and tend to shy away from cream based products. I’m not sure this really worked for me as my hair is so thick it actually added thickness which is great if you have thin hair but not so great for hair like mine. It did however de frizz everything so it definitely does what it says on tube! I also really like the cute packaging and it would make a great little handbag essential for frizz on the go. And last but not least! 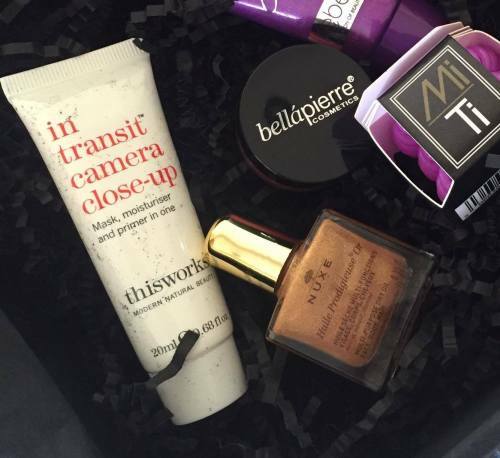 Thisworks in transit camera close up 3 in 1 mask, moisturiser and primer. I have a hefty skin care routine and I am very picky about what products I use to prep my skin for makeup application but I really liked how this was multi purpose and could be used in a hurry so I put it to the test. I didn’t really like the initial smell, which isn’t bad but it is quite strong. Once I had applied it, my skin felt smooth but not as moisturised as I would of liked as it still felt a little dry in places and I felt like I needed to really work the product into my skin. However after applying foundation on top I found it made an excellent primer. My makeup did not separate and it sat on my skin perfectly. I wouldn’t recommend this product as a daily moisturiser unless once in a while when you are in a hurry but I would definitely recommend it as a good primer. Its something I will add to my kit for emergencies and if I need to do a makeup application in quick time. Can’t wait for my next Look Fantastic beauty box, absolutely loved my July one!